Are you interested in finding an angel investor for your startup, but not sure what they are looking for? Maybe you’re about to pitch your business, but confused what kind of pitch to prepare, why the pitch is important, and how to use good body language. This week on Bplans, we covered all these topics and many more. Check out these articles, and let us know if you have questions in the comments! Are you hoping to fund your business through angel investment? Learning from actual angel investors can be a great way to improve your business, whether your goal is to receive angel funding or not. Many of the top angel investors run their own blogs, which are a great source of information that will help you with the various aspects of starting and running your business. There’s bound to be one that fits your specific situation, so check out our list! 2. Business Pitch, Elevator Pitch, and the LivePlan Pitch: What’s the Difference? When people say “pitch,” they often mean vastly different things. Is it an elevator pitch, meant to be given in a short space of time, or a formal pitch in front of a panel of potential investors? There are multiple different kinds of pitches, and in this article, Palo Alto Software founder Tim Berry demystifies them for you. Some of the most inspiring entrepreneurial stories come from founders who have endured real hardship and challenges when founding their businesses. We spoke with Mel Buchanan, founder of the Candy Queen Store, who shared her story of overcoming obstacles and starting her own company. 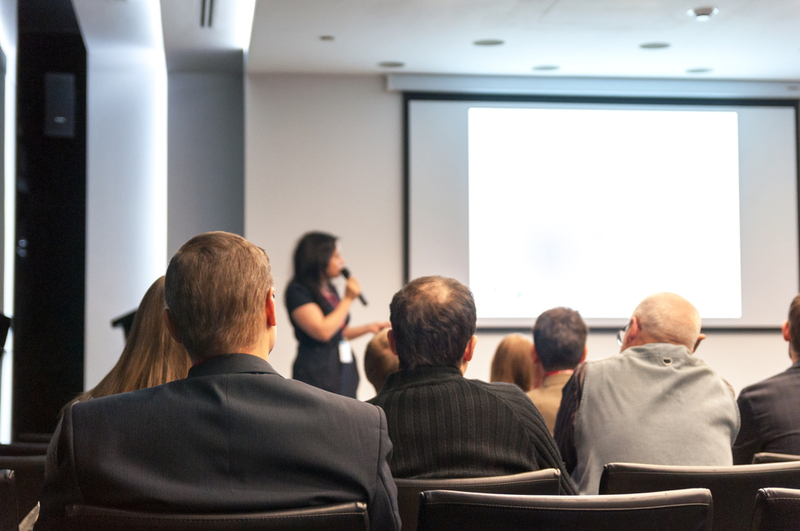 You may have your pitch information down, but are you letting bad body language habits ruin your presentation? Nonverbal communication is incredibly important, and while investors care about your message, they will also base their decision on how you present yourself. In this article, you’ll learn the common body language mistakes entrepreneurs make while pitching their business, and how to correct them, leaving potential investors with a great impression. “Going green” is becoming evermore popular for businesses. After all, it allows you to do some good and cultivate a positive brand image. But don’t just dive in—it can be hard to get right. Here’s how to be an environmentally friendly business while still maintaining an authentic image and remaining profitable. Flowers, poker winnings, venture capital—what do these things have in common? It’s the founding story of floral startup BloomNation, an online platform for both florists and customers that has taken the floral industry by storm. We spoke with cofounder David Daneshgar, who shared the experience of founding BloomNation through a combination of poker winnings and venture capital funding. As you can see, we are focused on pitching success; after all, pitching your business can mean the difference between getting the funding you need, and being left out in the cold. In this article, we’ll go over what to be prepared for when planning your business pitch, and the importance pitching in today’s economic climate. Many entrepreneurs start their own businesses for similar reasons—a desire to be their own boss, to work on projects they enjoy, and to feel in control of their professional lives. However, this will mean marketing your skills, and when it comes to marketing, many new entrepreneurs fall short. This guide will show you how to market your new business effectively, so that you can maximize both your time and money. Getting a business loan isn’t as simple as being a profitable business. You’ll need to supply banks with plenty of information that you might not have considered. Palo Alto Software founder Tim Berry discusses his own experience in receiving bank loans for his business, and you’ll get advice on how to successfully ask for a business loan. With so many new technology systems at our disposal, it can be easy for entrepreneurs to fall into the trap of “DIY everything.” In terms of small business accounting, this often results in errors, both small and large. In this article, you’ll learn how to avoid common accounting mistakes, and save your business the trouble of unnecessary hassles and costs. Do you have a topic you’d like to see covered on Bplans? Let us know in the comments, and we’ll do our best to address it.